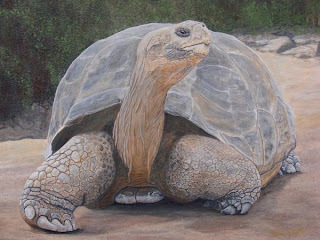 Animal Wildlife | Galapagos Tortoise | The Galapagos tortoise (giant Galapagos tortoise) was first documented by Charles Darwin last century when he went on his trip to the Galapagos islands. The Galapagos Tortoise is the biggest species of tortoise in the modern world with some Galapagos tortoises reaching more than 4ft long! The Galapagos tortoise is also one the longest living species of tortoise with a number of Galapagos tortoises getting older than 150!. 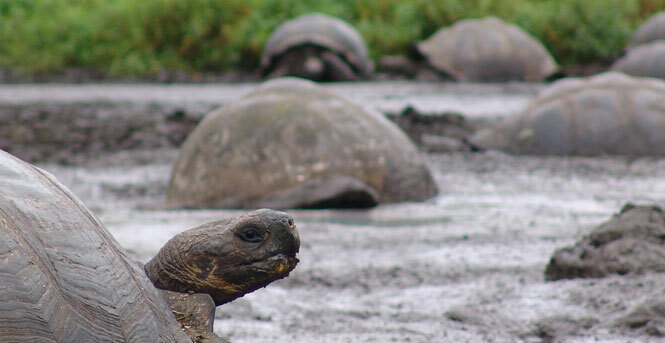 The Galapagos tortoise, like most other species of tortoise, is a herbivore spending its time grazing on grass and low trees. 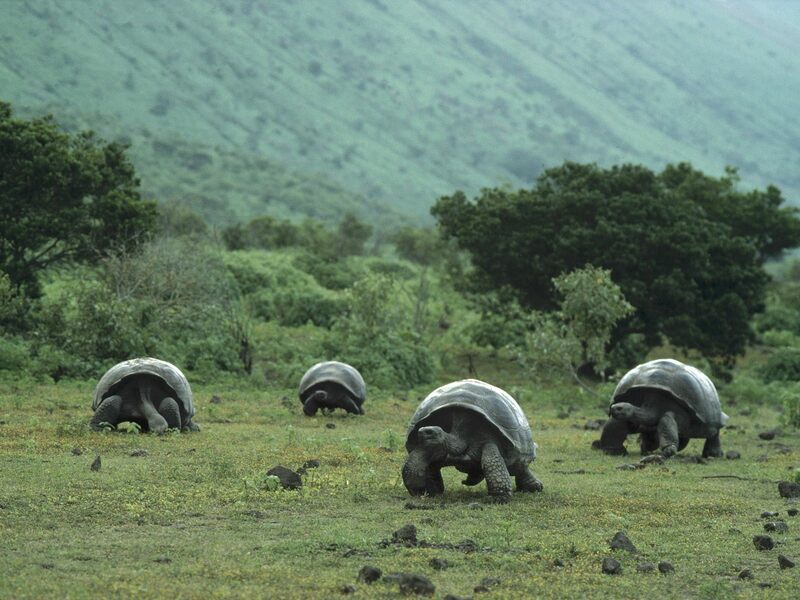 Today only 10 out of the 12 Galapagos tortoise species still exist on the Pacific islands due to the introduction of goats a few hundred years ago. The domestic goat, stripped the islands of their good foliage meaning that the Galapagos tortoise found it hard to find food. 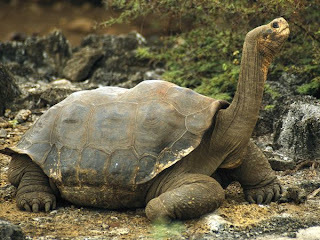 Today the Galapagos tortoise is most well known for their long necks, which make them look slightly like a dinosaur! 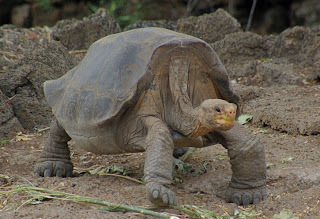 The Galapagos tortoise is a very quiet, peaceful and lazy animal with the Galapagos tortoise waking up early in the morning to bask in the sun until the enormous body of the Galapagos tortoise has warmed up. The Galapagos tortoise then spends the rest of its day foraging for food before retiring back to bed in the early hours of the evening where the Galapagos tortoise spends the night in shrub land or submerged in water. The Galapagos tortoise is a very slow moving animal with the Galapagos tortoise having a top speed of less than 1 mile an hour! During the mating season however, the male Galapagos tortoises have been known to move at a surprising speed with marked individual Galapagos tortoises having been known to travel 13 km in just two days, a phenomenal feet for the sheer size of the Galapagos tortoise. 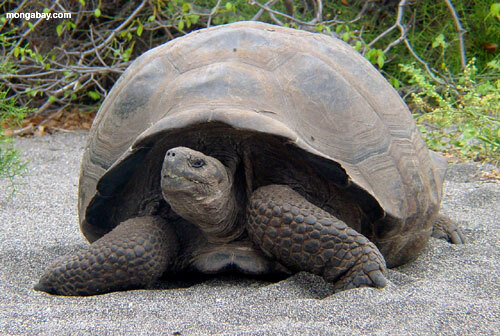 Like other species of tortoise, the Galapagos tortoise is able to pull its head and legs into its shell to protect itself when the Galapagos tortoise feels under threat from potential predators. The scaly skin on the exposed legs and head of the Galapagos tortoise also acts a layer of armor to protect the Galapagos tortoise from incurring any damage when the Galapagos tortoise is moving around. 1 Response to "Galapagos Tortoise"